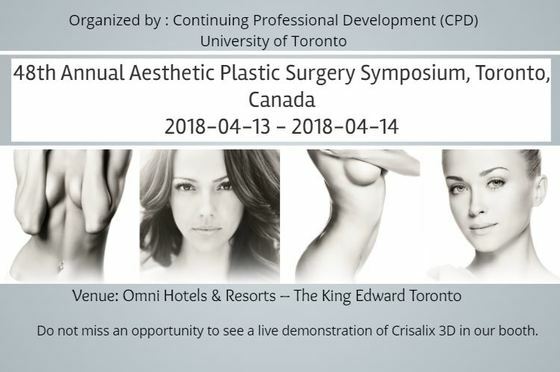 Crisalix team is looking forward to seeing you in Toronto this spring, at the largest aesthetic plastic surgery meeting in Canada. The 2018 meeting will be held at the Omni Hotels & Resorts – The King Edward Toronto, April 13 – April 14. Do not miss the opportunity to see a live demonstration of Crisalix 3D in our booth.